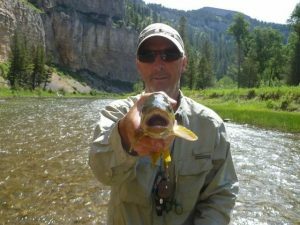 Lewis & Clark Expeditions Fly Fishing Outfitters, is successfully owned and operated by Mike Geary for over 25 years and counting. L&C Expeditions guided on the Blackfoot, Missouri, Upper Clark Fork, and still offers 5-day float trips down the Smith River in Montana. In 2013, Mike and his wife, Laura, bought Healing Waters Lodge in Twin Bridges and moved his L&C Expeditions operations from Helena to Twin Bridges. 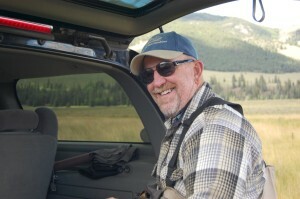 Smith River guide extraordinaire, John Howard. The following two seasons at Healing Waters Lodge, Mike contracted with Bill Kemph, owner of Lilly & Kemph Outfitters to supply well seasoned guides familiar to returning guests and the waters we fish, along with miles and miles of private water access. At the end of our 2015 season, Mike added to his outfitting business and bought Lilly & Kemph Outfitters fly fishing business serving southwest Montana on rivers such as the Beaverhead, Big Hole, Jefferson, Madison, Ruby rivers and miles of private water access on spring creeks, streams, ponds and lakes. We are extremely fortunate that LKO guides joined us as well, and, continue to take our guests fly fishing on area waters. 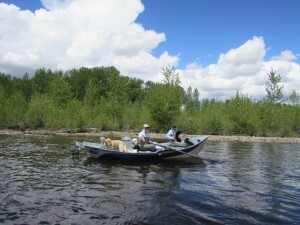 Lewis & Clark Expeditions and Healing Waters Lodge continues to boast a highly respected force of professional, knowledgeable, dedicated, proud, personable, enthusiastic and quality fly fishing guides that are at your service whether you are on a five day float trip on the Smith River with us or staying at Healing Waters Lodge. April 22-27 and April 28-May 3 of 2018, we offer Fish Like a Guide, But, Live Like a Client Fly Fishing school packages. 6 nights at the lodge with all food and beverage included with 5 days of classroom and guided fly fishing instruction, taught by our guides. Our schools are comprehensive and good for any level of skills and abilities. Contact Mike Geary at 406-459-2030, for more information.